EDMONTON — Grey Cup week is nothing new to most Calgary Stampeders veteran players in Edmonton this week. For defensive back Brandon Smith, though, this one feels different. The Stamps will take on the Ottawa REDBLACKS in the 106th Grey Cup on Sunday at The Brick Field at Commonwealth Stadium. For the third year in a row they’re the betting favourite, but after losing back-to-back Grey Cups, the Stampeders aren’t taking anything for granted. Smith, 34, will play in his sixth Grey Cup on Sunday, leading all Stampeders players dating back to 1994. Quarterback Bo Levi Mitchell will start his fourth championship game and play in his fifth. For middle linebacker Alex Singleton, just 24 years old, this will be his third. Both Ottawa and Calgary have reached the big stage in three of their last four seasons. For the Stamps, coming off a 22-14 win over Winnipeg in the Western Final on the strength of a three-touchdown performance by Eric Rogers, injuries at receiver have been the big topic this season. There will be more wrinkles heading into Sunday. Markeith Ambles has gone on the injured list after injuring his foot, while DaVaris Daniels and Bakari Grantare on the 46-man roster for Sunday’s game. The Stamps have taken it slow with Daniels, who’s returning from an injured collarbone suffered in a game on Sept. 15 vs. the Ticats, but the third-year receiver appears to be ready to go. Grant is also expected to suit up and start in his fourth Grey Cup. He’s 0-3 up to this point, including a loss to Ottawa two years ago when he played for the Stamps. Grant provided some much-needed insurance for the Calgary receiving corps late in the season, suiting up for the team’s season finale vs. BC. He wasn’t sure if he’d get to play this week, but while seated at the podium following Saturday’s final walkthrough, Grant showed his appreciation to be able to get in the lineup. National receiver Juwan Brescacin missed much of last week’s win over Winnipeg but is expected to be a full go for Sunday’s contest. With all the injuries, Mitchell became the first quarterback in CFL history to throw for 5,000-plus yards without the help of a 1,000-yard receiver. The unfortunate circumstances have tested the Calgary Stampeders, but all season they persevered, winning 13 games and another West Division title. After another devastating injury to running back Romar Morris, which Dickenson speculated could be to the Achilles, the Stamps continue to rally around their adversity. Terry Williams will take the spot of the injured Morris at running back, backing up Don Jackson and handling return duties. Meanwhile, there’s a chance that one of Grant or Daniels will be one of the Stampeders’ two scratches before the game. On defence, there will be no major changes to the unit that shut down the Bombers in the Western Final, holding Matt Nichols to just 156 passing yards on 15-of-32 passing. While players from both Ottawa and Caglary will remind you it’s been ages since the last time these two teams played — the Stamps swept the season series with a 24-14 win in Week 3 followed by a 27-3 win in Week 5 — the history between these teams is noteworthy. The Stamps owned REDBLACKS quarterback Trevor Harris this season, holding him to 4.5 yards per attempt, no touchdowns and three interceptions in the two contests. Calgary owns a 7-1 edge in sacks against Ottawa this year (including a three-sack game from Micah Johnson) and a turnover differential of 10-3. Lately, though, the REDBLACKS have been a much different team. They buckled down and won the East Division with an 11-7 record, turning aside Hamilton in the Eastern Final with relative ease. Dating back seven starts, including last week’s playoff record six-touchdown performance, Harris has completed 78.6 per cent of his passes and thrown 17 touchdown passes against just two interceptions, averaging a stellar 9.9 yards per attempt. The REDBLACKS’ high-octane offence has been arguably the CFL’s best over the last two months. Their up-tempo pace allows them to run the most plays in the league (61.2 per game), while three 1,000-yard receivers in Greg Ellingson, Spencer and Brad Sinopoli create balance and unpredictability. Opposing offences also can’t forget about the run game, with William Powell finishing second in the league with a career-high 1,362 yards. While the REDBLACKS’ offensive prowess comes as little surprise, their defence has been a big part of their success. Hired in the off-season to lead a more aggressive defence, Noel Thorpe’s unit ranks third in the league in takeaways (41) and third in turnover differential (+9). Stopping Bo Levi Mitchell, who throws the ball down field more than any other quarterback in the CFL, will be a challenge. The Stamps’ offence leads the league with 43 completions of 30-plus yards, and will no doubt test the REDBLACKS’ secondary. Thorpe’s zone blitz defence has caused Mitchell some problems in the past, though the Stamps’ quarterback is 6-0-2 in head-to-head play against Trevor Harris in their careers. The REDBLACKS head into the Grey Cup relatively unscathed, injury-wise. Rose will start at corner as he appeals the one-game suspension handed to him earlier in the week after an on-field incident in the Eastern Final. Defensive back Sherrod Baltimore will also start despite missing practice time on Friday. 5 – Grey Cup starts for Stamps defensive back Brandon Smith. He’ll make his sixth on Sunday, tying him for sixth in Grey Cup starts since 1994. 7 – Straight games with a sack (and nine of the last 10) for Calgary defensive tackle Micah Johnson. He had a three-sack game vs. Ottawa earlier this season, finishing with 14 on the year. 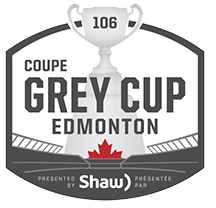 14 – Grey Cups, of the last 18, were decided in the last three minutes, including nine of the last 11. 18 – Catches in two Grey Cups for DaVaris Daniels. Daniels is back on the roster for Sunday’s game but it’s unknown whether he’ll play. 61.2 – Offensive plays per game for the REDBLACKS in 2018, by far the most in the CFL. 78.6 – Per cent completion rate for Travor Harris in his last seven starts. He has 17 touchdowns and two interceptions over that span. 366 – Passing yards per game for Bo Levi Mitchell in three Grey Cup starts. Next Story → Football is bigger than you!